NICK IS FINALLY BACK HOME AFTER A MONTH LONG TOUR OVERSEAS! I've mentioned before that I love to surprise Nick or do a little something special for him every time he returns home from touring with his band. The "touring with his band" part may sound like its 100% fun 100% of the time, but make no mistake about it - it's a lot of very draining, highly demanding work! Knowing that my sweet guy is utterly exhausted and deserving of some r&r, I've arranged for an evening of our favorite holiday movie (Christmas Vacation, of course), our favorite cheeseburgers (protein style, animal style, with both kinds of onions *wink*wink*) accompanied by fries, and his absolute favorite cocktails, done right! 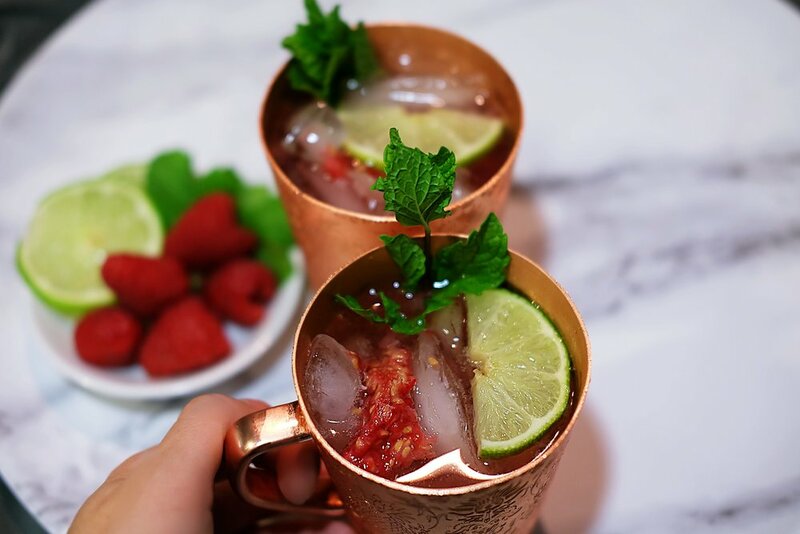 Not just any cocktails, but Mules! And not just any Mules, but homemade Raspberry Mules! psssst…all you 21+ers, start taking notes because this is about to be your new favorite. If you’re prepared to praise me for my ingenious recipe, hold it right there! I totally got it from Absolut Elyx themselves! Off their website, actually HERE! There are far too many reasons why we love these mules in particular, and I’m going to enlighten you in 3..2..1! First of all, a mule is a fairly simple drink to concoct, but I’ll tell you right now that I’ve had far too many poorly made versions over my years of being 21+. Nick is all-too quick to remind me of the terribles ones he’s encountered WORLDWIDE. 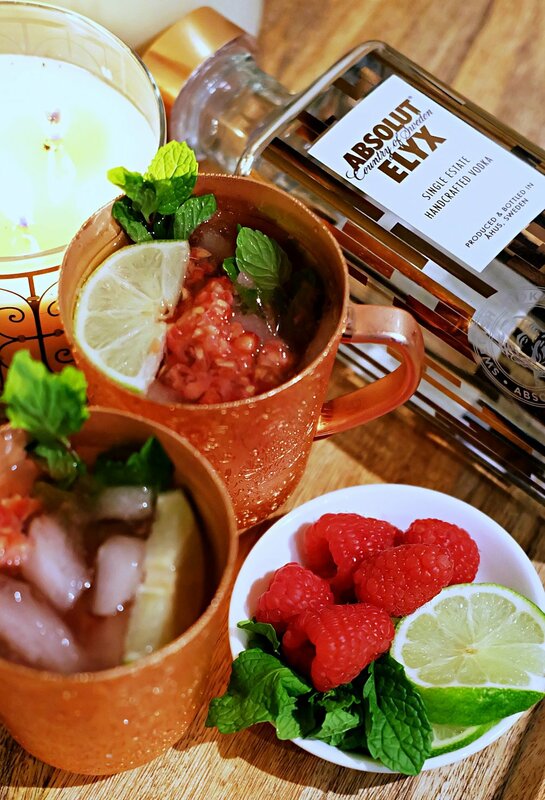 We stick to Absolut Elyx as the primary ingredient because it embodies all the reasons to love a Copper-dwelling beverage, just like this one! Absolut Elyx is vastly different from other vodkas, and more so, a luxury vodka that was meant to be enjoyed this way. Here’s why: it’s a single estate, copper crafted vodka that is the luxury expression of Absolut. Copper plays the lead role in the production of Absolut Elyx. To achieve the perfect raw spirit for Absolut Elyx, they achieve maximum contact with copper by using sacrificial copper – this process is called copper catalyzation. The raw spirit is further rectified using a vintage copper still from 1921 which is hand operated to make this unique fine spirit. AMAZING, right?! Try to think of the last time you were thoroughly impressed by your adult beverage… I’ll wait. Another little something you should know about Absolut is, their heritage is the foundation for the core values that differentiate Elyx vs. other brands. From the way they make their vodka, to their environmental policies – Absolut believes in acting with integrity and that it reinforces their luxury credentials. They donate a week’s worth of safe drinking water for every bottle of Elyx sold in the USA to those in need through their partnership with Water for People. Nick and I stand behind a number of important causes, and this is something we 100% respect and support! Not to mention, it gives us fantastic reason to gift bottles of Absolut Elyx to friends and family this holiday season! Togetherness is so greatly valued within our home. Obviously, because of work and our busy lifestyle, we aren’t able to always spend as much time together as we would like. Being able to enjoy these simple pleasures and moments at home mean everything to us. 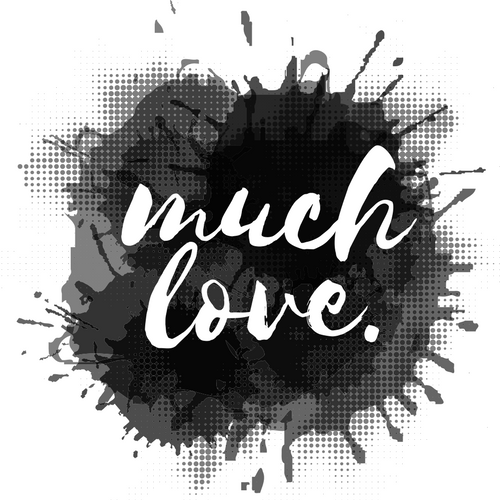 It may seem so trivial from the outside, but squeezing every little last drop out of the time we have together – whether it be through our favorite movies, favorite cocktails or favorite theme parks – is what brings our lives the most joy.